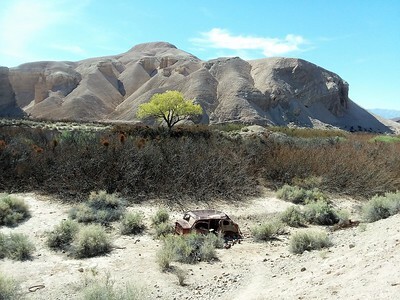 On our return to the western U.S., we decided to have our second RV-Dreams Reunion Rally. 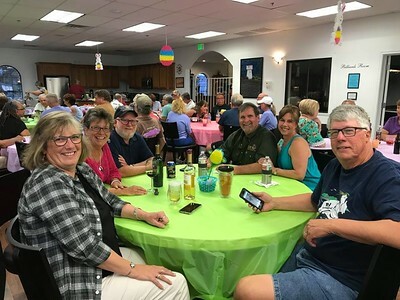 Our Reunion Rallies are for those that have attended prior Educational Rallies or Boondocking Rallies over the years, and they are a more social gathering where we hang out with each other and, to some extent, make it up as we go. We had a great time this week and this entry hits the highlights. Today was the official start of our Reunion Rally. 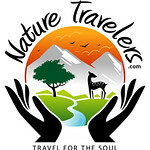 Unfortunately, one couple, Larry & Sue, broke down in their motorhome on the way and didn't make it. We missed you guys. But everyone else arrived safely - 27 rigs and 52 people. At 4:00, we had our registration where everyone got their name tags and Rally t-shirts and paid any balance due on their camping fees. 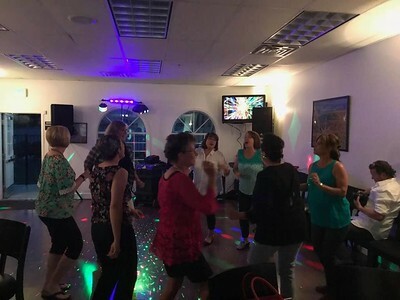 At this Rally here at Wine Ridge RV Resort, we had to collect for the camping fees and then submit one payment to the park. 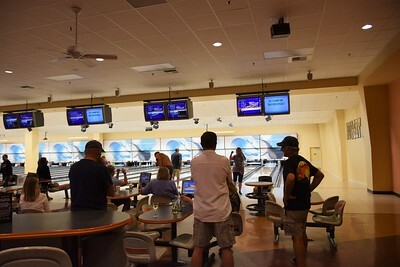 Otherwise, we would have to pay an hourly rate for the use of the clubhouse and other common areas for gatherings. 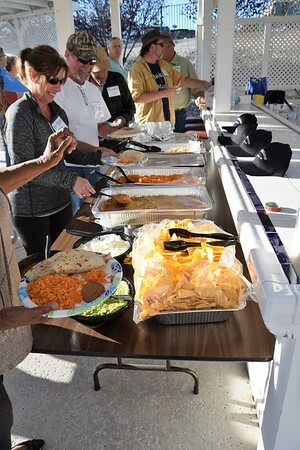 After greeting everyone and getting the business out of the way, we enjoyed a chicken fajita dinner provided by Romero's Bar & Mexican Restaurant (& check cashing service). 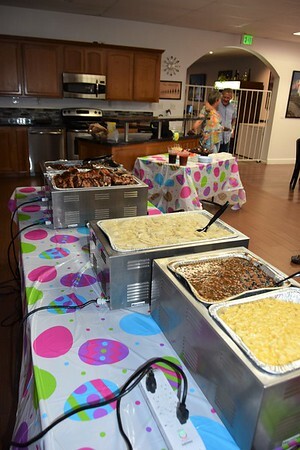 Though we were worried by the lack of formality (no contract, and our only documentation was text messages), they showed up on time and the food was pretty good. As a side note for rally planners coming to this area, though they have a check cashing service, they wouldn't accept our out-of-state check, so I had to go to the restaurant earlier today to pay with a credit card. That, paying in full before the food arrived, made us a bit nervous as well, but they delivered as promised. 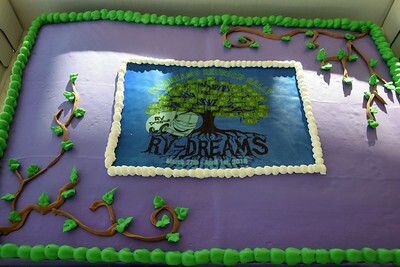 And Linda had a cake made that reflected our Reunion Rally t-shirts with "RV-Dreams" as the roots of a tree with "leaves" depicting the 50 states. 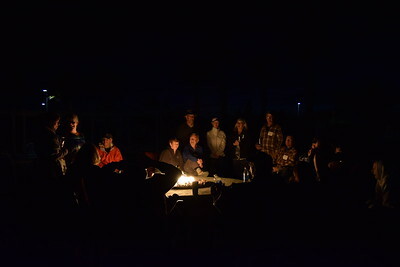 After dinner, we tightened up our loose agenda just a bit, and then gathered around the firepit by the pool and enjoyed the beautiful evening. 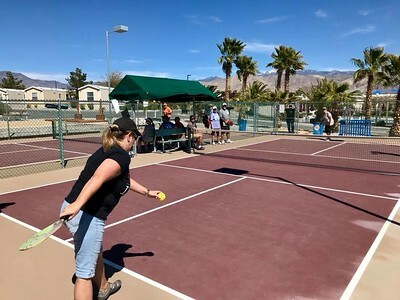 This morning, a few of us got together for some early morning pickleball at the two courts here at the RV park. 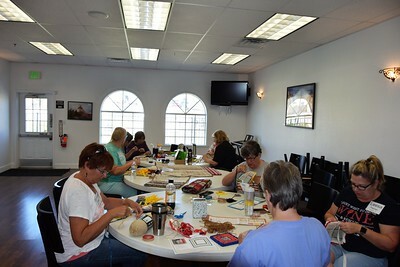 And some of the ladies gathered in the clubhouse to learn "locker hooking". 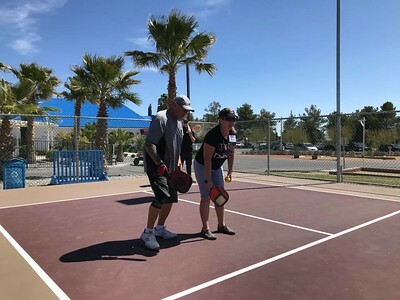 In the afternoon, Dave & Dianne and I, provided pickleball lessons for anyone that wanted to learn. We had a dozen or so that came out. Thanks to Leesa for the above photos. 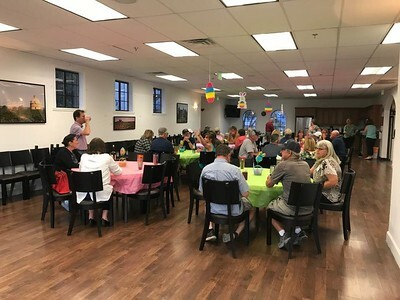 In the evening, part of our group had signed up for a wine tasting and dinner provided by Symphony's at the winery next door. And the rest of us got together for an early Happy Hour and hors d'oeuvres. 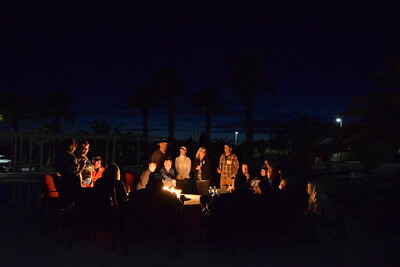 After dinner, we all gathered 'round the firepit with a few of us going into the clubhouse for the Wednesday night game of poker put on by the park. Another fun evening. 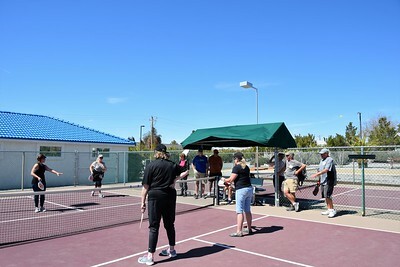 This morning, a few of us once again played pickleball, and then about half of the group went on a little excursion. 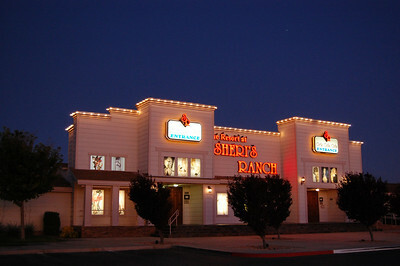 You see, Pahrump is home to Sheri's Ranch, a high end legal brothel and the closest one to Las Vegas. And they offer free "tours" during the day. So, being a curious group, quite a few were interested in checking out this part of "local culture". We made reservations last night. Linda & I had been there for dinner with another couple several years back and these photos are from that 2009 visit. The food back then was mediocre, but it was .... let's just say "interesting". I bailed out on that trip and went to the casino to play poker and blackjack and talk to the folks there about having a couple of tables reserved for a group later this evening. Unfortunately, whoever took our call at Sheri's last night failed to inform today's staff. So, they didn't have the kitchen staff to have lunch. After dividing our folks into two groups, they were given a tour. Apparently, one tour guide was better than the other, so half got a decent tour and the other have got to see a few rooms without much else. I was told the tours took about ten minutes. So, that seemed to be a waste of time. But afterwards, the groups had a nice lunch together at different places, so it wasn't a total loss. 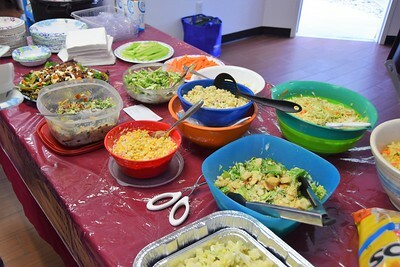 In the evening, we had a potluck in the clubhouse. 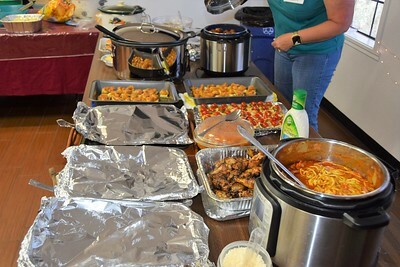 As usual, the food was delicious and no one went away hungry. 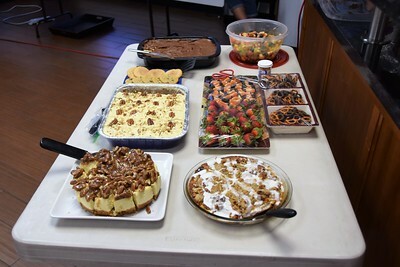 During the potluck, we showed two videos. 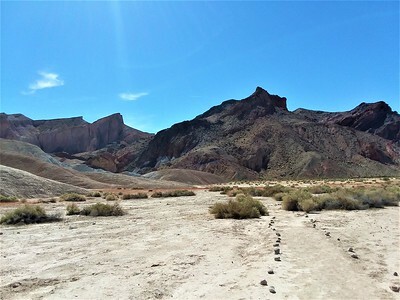 Steven Dempsey put together a great video from photos he took at our recent Boondocking Rally, and Lee Perkins put together a another great video from the photos that our rally attendees sent him in advance. Both videos are about five minutes long, and when I get some faster internet, I'll upload them and provide links. 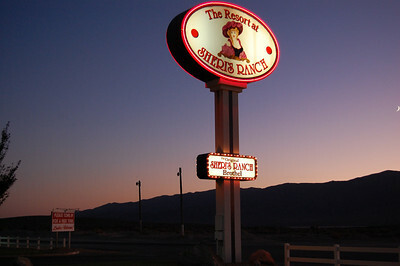 After dinner, about a dozen of us went to the Pahrump Nugget Casino. We got our own blackjack table for six, and the others played slots and video poker or just watched. Everyone had the right attitude of gambling as a form of entertainment for a few hours, and most of us stuck around until midnight having fun together. Ultimately, I won $100, but Linda lost $90. Still, breaking even after five hours is a win, so we were happy. 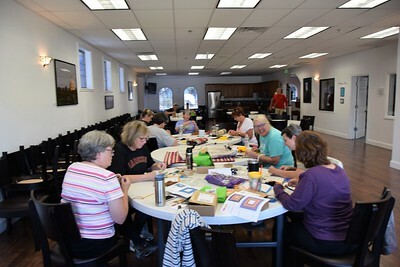 This morning, several of us met for breakfast and a few played pickleball. 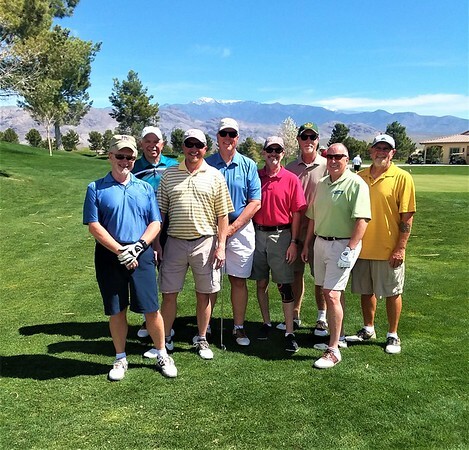 At 11:00, eight of us guys headed out for our round of golf at Mountain Falls Golf Club. By random draw, we divided into two foursomes. The starter took our picture while we waited at the first tee. 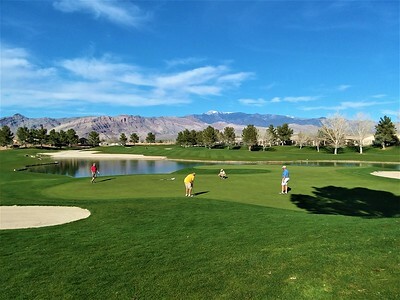 It was a gorgeous day and it's a great course with wonderful views of the mountains. The golf wasn't always spectacular, but we all enjoyed our afternoon. For everyone else, it was a "free" day to rest and/or explore. 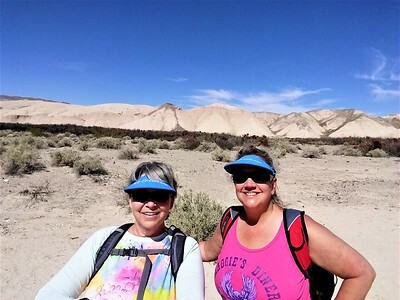 Linda and Leesa drove over the mountains to the China Ranch Date Farm near Tecopa, California. After having a date shake, they did one of the shorter hikes there. 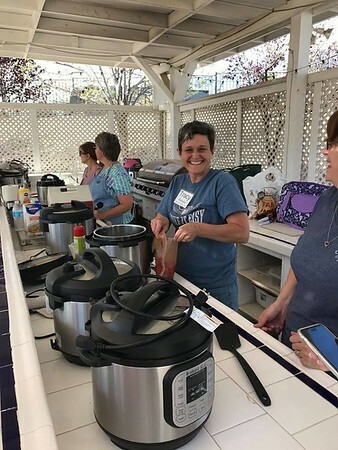 They had a wonderful time, and then they made it back to the RV park in time for the afternoon "Instant Pot" demonstration. 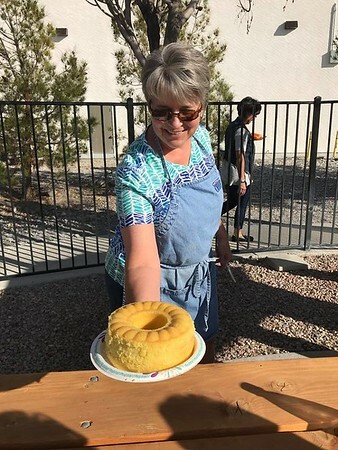 Thanks to Tracy Perkins for the Instant Pot photos. 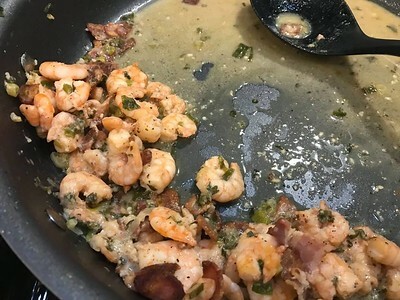 Dinner was "on your own", but many of us got enough from the Instant Pot dishes that we weren't hungry. 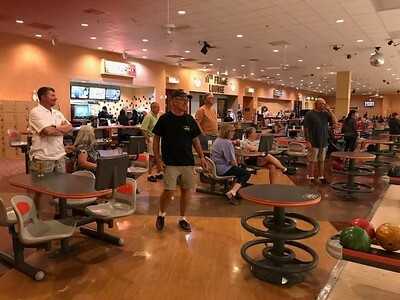 For after dinner, I had reserved four lanes at the Pahrump Nugget bowling center for anyone that wanted to go bowling around 7:00. Thirteen of us had a great time at that activity. 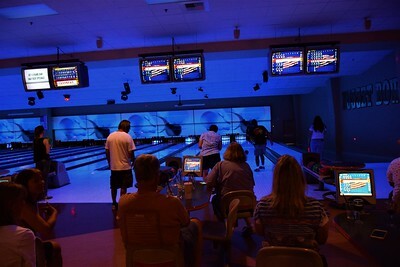 After 9:00, they turned the lights down and our last game was Cosmic Bowling. Some people improved and some went in the opposite direction when the lights went out. Just more fun with wonderful people. 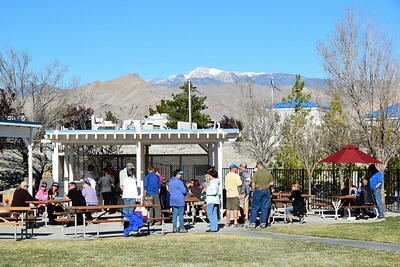 Our usual breakfast crowd showed up for the complimentary waffles provided by the RV park, and then a third of the group drove down to Red Rock Canyon for a short hike and the 13-mile scenic drive. Thanks to Debbie for getting that organized. 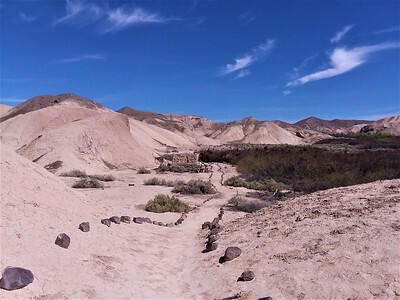 Again, for those not hiking, the rest of the day was free. Linda & I were supposed to go on the hike, but we were just too tired and group hiking isn't really our thing. 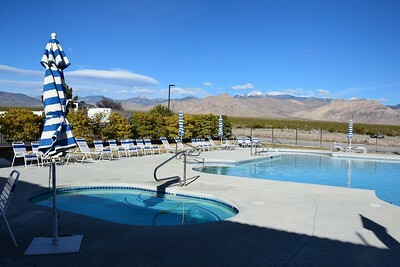 So, I spent some alone time in the upper pool hot tub just staring at the mountains. And then I went back to the rig and took a nap. We had a relaxing morning, and then Linda made a grocery run while I watched golf and then the first game of the Final Four. At 5:00, while Linda and Leesa were decorating the clubhouse, Dave helped me go pick up the food for tonight's dinner. 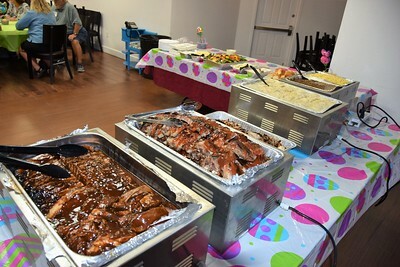 It was catered by Red Sky BBQ, but we had to fetch it and serve it ourselves. The RV park had four warmers to keep the ribs, chicken, and sliced brisket warm. Waiting for their tables to be called. 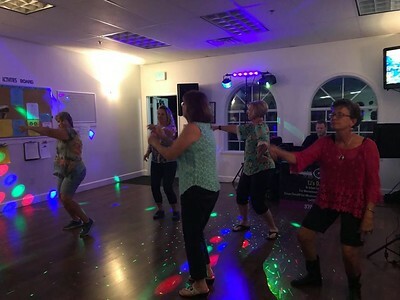 After our wonderful dinner and getting everything cleaned up, we finished the evening with music and dancing with our DJ, Tim. And that pretty much concluded our time here together with these fantastic people. When we say we love every one of them, we truly mean it. Thanks to all of you for joining us here and for being a part of our lives. Until next time, safe travels and remember "My Wish". 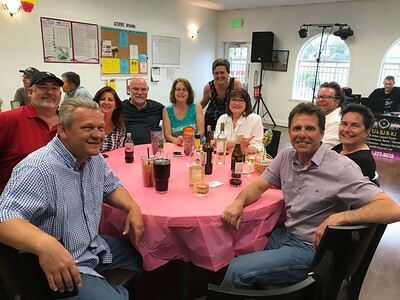 Looks like a good time was had by all!! Sorry we missed it!! Thanks so very much for all of you have done for all of us. Bonnie and I are on the road, living this lifestyle because of you both. 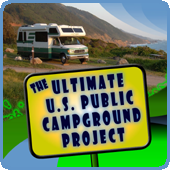 The two last rallies Boondocking and Reunion have both been just fantastic time. We both had a great time meeting up with everyone at the rallies. We had a wonderful time. Thanks so much for gathering us all together. Loved seeing all those familiar smiles. Happy Trails RV-dreams gang.